When it comes to Cognac history, most houses can boast at least a couple of centuries. But with Vallein Tercinier, we're talking over 500 years! The company's namesake, Robin Tercinier, arrived in the Saintonge region of Cognac in 1480, but the actual estate wasn't purchased until 1791. It was at this time that Louis Vallein set up shop at the Domaine des Forges, with vineyards and land that covered most of the surrounding village of Chermignac. Robin's son, Napoleon, was also a wine grower. The property was handed down to him, and on his death he divided it between his two sons. Over the next 150 years various family members carried on tending and working the vines, each adding their own individual hallmark to the family business. Two World Wars later, and the estate was still going strong. They began to export their wares to various countries, including the UK, Finland, and the then Czechoslovakia. In 1980 they even began to break into the Asian market. The 1990s saw the Cognac house move into the hands of it's current owners, brother sister team, Catherine and Louis. Catherine and Louis are very proud to have stepped into the shoes of their many ancestors. And as is in keeping with family tradition, the've continued to move the company forward, whilst remaining true to the pure art of Cognac production. They've adapted the facilities to take full advantage of modern technology, and continue to produce some very special Cognacs indeed. One aspect that Vallein Tercinier takes very seriously is presentation. Most of their Cognacs are beautifully cradled in simplistic yet stunning bottles and carafes. These are certainly a wonderful way to showcase what are some extremely high class eaux-de-vies, and it's obvious that they take as much care with their choice of these as they do with the creation of the Cognac itself. 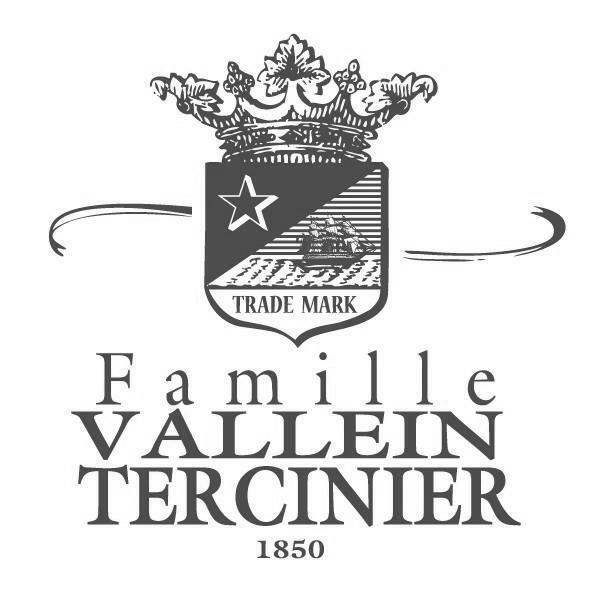 The range of Vallein Tercinier is small, but of extremely high quality. From a VS and VSOP, their Cognacs move through the age range to cover virtually all of the older ranges. These include some delightful Hors d'Age, and some extraordinary single batch bottles. Many of their Cognacs have been awarded the highest level medals and trophies in industry competitions. Catherine and Louis would be delighted to welcome you to visit their estate. They're open Monday to Friday, 09:00 to 12:30 and 14:00 to 18:00. Please call ahead to arrange a time. You can also visit at the weekends or on bank holidays, but by prior arrangement only.